TRNSMT FESTIVAL DRAWS TO A TRULY TRIUMPHANT CLOSE AND ANNOUNCE 2019 PLANS AS BANDS FROM ACROSS THE GLOBE DESCEND ON GLASGOW GREEN FOR FIRST EVER FIVE DAY EVENT! "TRNSMT announce 2019 festival dates over 12-14 July as the sun sets on the second year, completing five days of incredible music. American icons The Killers bring a huge set to the Main Stage following in the footsteps of Queen + Adam Lambert, Arctic Monkeys, Liam Gallagher and opening headliners Stereophonics last weekend." TRNSMT will return to Glasgow Green in 2019 from 12th – 14th July; three day tickets will go on sale on Friday 13th July, at this year’s price: £155 (+ Booking Fee). “As the curtain comes down on TRNSMT for this year, it’s hard to pick highlights from what has been an incredible five days of music, great food and the best audiences in the world. 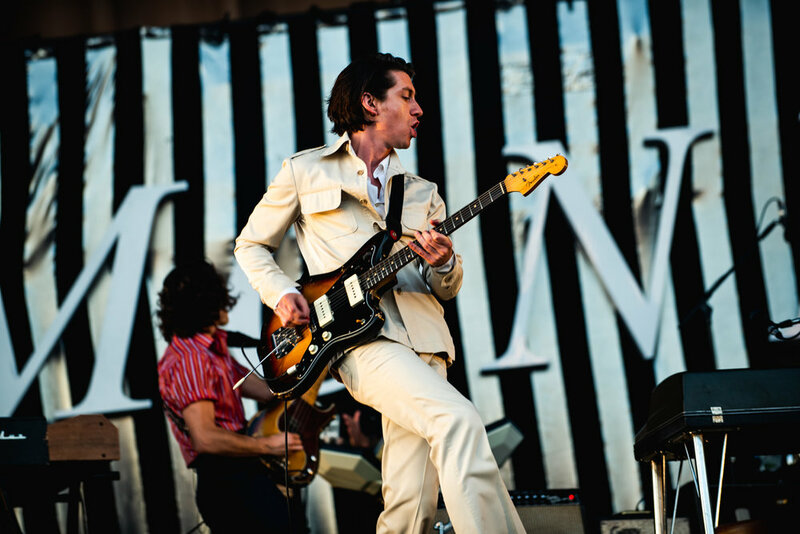 The first weekend set the bar higher than it’s ever been with Gerry Cinnamon’s landmark mid-afternoon set on Saturday and Arctic Monkeys’ exclusive festival headline slot on Sunday setting the tone." “On Friday we were treated to more brilliant performances from the likes of The Darkness, Texas, and a spine-tingling singalong set from Queen + Adam Lambert. Today we’ve seen home-grown favourites Franz Ferdinand and CHVRCHES storm the Main Stage, while Gang of Youths and Nina Nesbitt were just two of the highlights on the King Tut’s Stage Powered by Utilita. Finally, The Killers returned to Scotland for another triumphant headline set as the perfect closer to TRNSMT 2018." “In the stunning setting of Glasgow Green, and with some of the best weather we’ve had in Scotland for years, we couldn’t have asked for more. 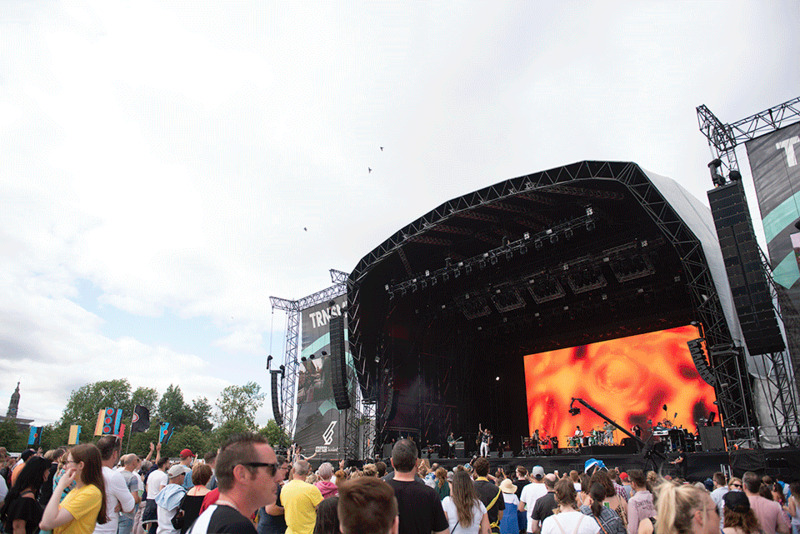 The support we’ve had from the local community, the City Council and Glasgow as a whole, has been phenomenal – the festival is made what it is by the people of this great city – GLASGOW MAKES TRNSMT." “On the back of another hugely successful festival I am delighted to announce that we’ll be returning again next year on 12-14 July. We’ve learned a lot over the past two years of putting on the festival and we’ll continue to work closely with Glasgow City Council, Councillors and local residents taking on board feedback to continue to build this fantastic event." On the closing day of weekend 2, Hudson Taylor took to the Main Stage looking effortless as their set got the final day off to a flying start. Lewis Capaldi was up next, with the local boy putting on an amazing performance as he graduated from the King Tut’s Stage Powered by Utilita in 2017 to the Main Stage in 2018, where he delivered a set that proved why he was tipped to be a big success this year. A truly momentous occasion for the young Glasgow singer was made even more special when he was joined onstage by fellow Scottish star Nina Nesbitt, to perform Lewis’ exquisite single ‘Rush’. Jessie Ware’s set was perfect in the mid-afternoon sun, her soulful voice carrying across the Green, as she delighted fans with her back catalogue incorporating a stream of solo singles and collaborations that have set the charts alight in recent years. Sliding in a classic cover of the house tune ‘Finally’ by Kings of Tomorrow, she received a lot of love from the TRNSMTcrowd. Meanwhile backstage, bands including CHVRCHES, Nina Nesbitt, Lewis Capaldi and Franz Ferdinand popped in for TRNSMT TV Facebook Live interviews presented by Laura Boyd, whilst big names in music including Jackmaster were spotted in the VIP area in the sunshine. The huge Glasgow crowd welcomed hometown heroes, as Scottish favourites Franz Ferdinand brought a plethora of indie anthems to TRNSMT. Drawing from their extensive discography, plus tunes from their latest album including the dance-friendly ‘Always Ascending’, classics such as ‘Take Me Out’ and ‘Do You Want To’, they brought some of that glorious indie nostalgia to Glasgow Green. The King Tut’s Stage Powered by Utilita also boasted a strong line-up for the closing day of the festival, with both up-and-coming and established artists on the bill. One of Scotland’s rising stars LUCIA opened the day with her guitar-driven-pop alternative sound, followed by a run of energetic performances from Juanita Stein and Catholic Action, to name a few. Closing the stage was Nina Nesbitt, the Scottish singer-songwriter who showed immense professionalism throughout her performance. She combined new material with old favourites, and proved a hit with the festival crowd who pulled themselves away from the Main Stage. Earlier in the day, Nina also made a surprise appearance at TRNSMT’s Hotels.com Sessions and Lounge performing her classic tunes ‘The Apple Tree’ and ‘Stay Out’ and even meeting some of her biggest fans. It was time for the final set of the festival and, after four huge headline performances over the two weekends, the pressure to close the festival in style may have been daunting to some, but not to those Las Vegas boys. The stage was ready and waiting for The Killers. Brandon Flowers and Co. are no strangers to big stages, as experienced headliners and a band capable of filling stadiums around the world - there really was no better way to end another successful year of TRNSMT. With consecutive huge albums and number one singles, picking a setlist for their headline slot was never going to be easy but the band delivered an incredible show. ‘Somebody Told Me’, ‘Mr Brightside’, ‘All These Things That I’ve Done’ and so many more career defining tracks that stormed the charts, were the perfect anthems to the final day of TRNSMT. Not only that, the superstars delighted fans with two Scottish covers. Paying tribute to one of Scotland’s finest exports, the band covered The Waterboys’ ‘Whole of the Moon’, with Brandon stating it was the song he wish he’d written. Throwing it back to a song the band performed on open mic nights at the beginning of the career, they launched into ‘Side’ by Travis…they’d certainly made themselves at home. This year’s TRNSMT has been a truly remarkable addition to the 2018 calendar, bringing incredible stars to the city centre of Glasgow and growing from three days to five in just one year. With huge performances from Stereophonics, one of the most talked about artists in the world right now, Liam Gallagher, plus a UK festival exclusive from Arctic Monkeys, TRNSMT delivered sunshine, memories and good times aplenty across every corner of the site from DJ sets in Smirnoff House to chilled acoustic vibes at Hotels.com. A classic performance. An incredible end to an incredible festival. The countdown is truly on to TRSNMT 2019. Get your tickets now!